Due to the generous outpouring of handknits, a Maritime New Zealand spokesman says wildlife centers have more than enough, particularly with the warm weather they’ve been having. 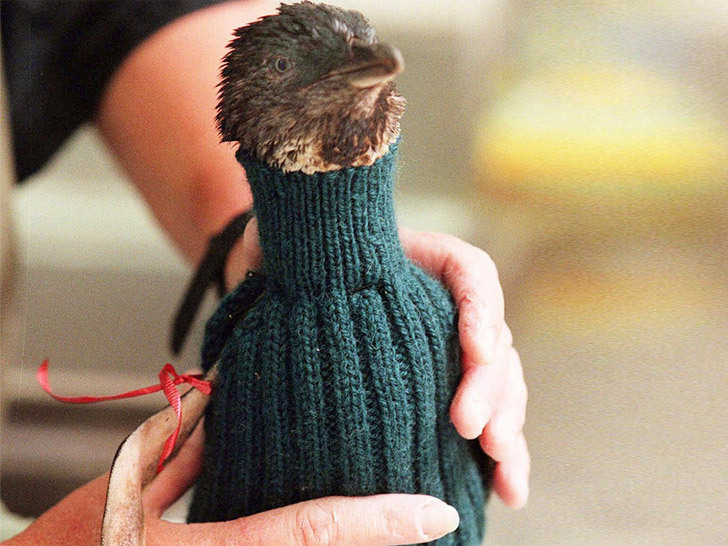 The penguins may not even appreciate the woolies, says one bird-keeper at Auckland Zoo. “Putting something like that on a penguin, it’s probably only going to stress it out even more than they already are,” she told Bay of Plenty Times. “These are wild penguins, they haven’t had any interaction with humans. There’s already enough stress on a bird without trying to put a sweater on it.” There go our plans to knit mini Quidditch uniforms for every House. Rats. are humans losing it !! the problem is we try and solve everyhting without realising nature doesnt need interference... just do ur bit ... dont spill oil in the water instead of wrapping those poor penguins up in sweaters ! !